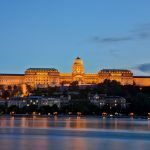 Hungary is a unique destination not just because of the beautiful architecture and worldwide known exquisite wines. The country is truly blessed with thermal waters. Just in Budapest alone there are over 100 natural thermal springs used for example in spas. Many parts of the country benefit from the abundance of thermal springs, which healing properties were discovered in the ancient times by the ancient Romans. The quality of the thermal waters and their effectiveness as a remedy for various health conditions has made Hungary a prime spa and wellness destination. Budapest ist the perfect destination to visit any time for a diverse holiday experience. 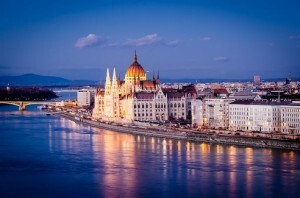 In the capital of Hungary you choose from a variety of spas offering thermal treatments and combine spa indulgence with sightseeing or local attractions such as boat trips on Danube or guided tours in the famous Buda castle labirynth. The spa highlight of Budapest is definitely the iconic Spa Gellert with ist impressive art nouveau interiors, several large pools and steam baths. Another interesting spa ist the Széchenyi Bath. The Széchenyi Gyógyfürdő spa is the best address if you decide to visit Budapest in summer as the main attraction are large outdoor pools baroque style. Heviz is a real spa gem and a must visit destination for all spa enthusiasts. What makes Heviz an amazing spa destination is the lake of the same name. Lake Heviz is the largest thermal lake in Europe and its waters are warm even when it is cold outside so you can take a bath there even in autumn and winter. If you are planning to visit Heviz should definitely spend at least a day by Lake Balaton nearby. The thermal waters of Sarvar and Buk were discovered by engineers looking for oil. The spa town of Sarvar benefits from medicinal thermal waters as well as mineral-rich salt used for spa treaments. 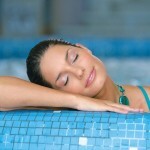 The most popular spa resort in Sarvar is the Danubius Health and Spa Resort. If you are keen on active leisure you would surely enjoy a stay in Buk as the beautiful Alpine surroundings make it a great destination work long walks.